This cuff was originally from a custom request. 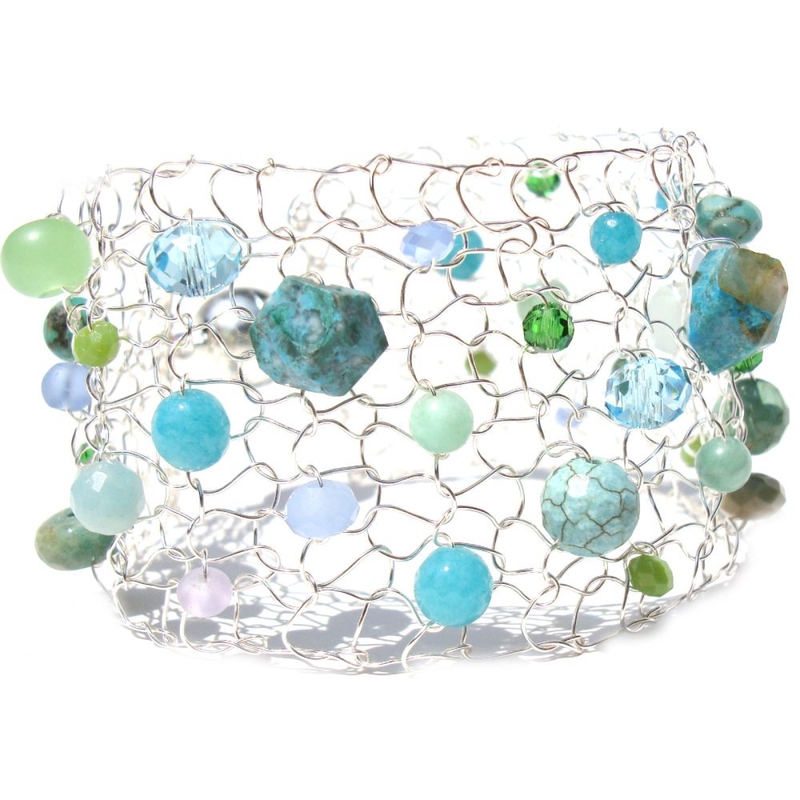 It contains faceted turquoise, sea glass and chrysocolla stone. 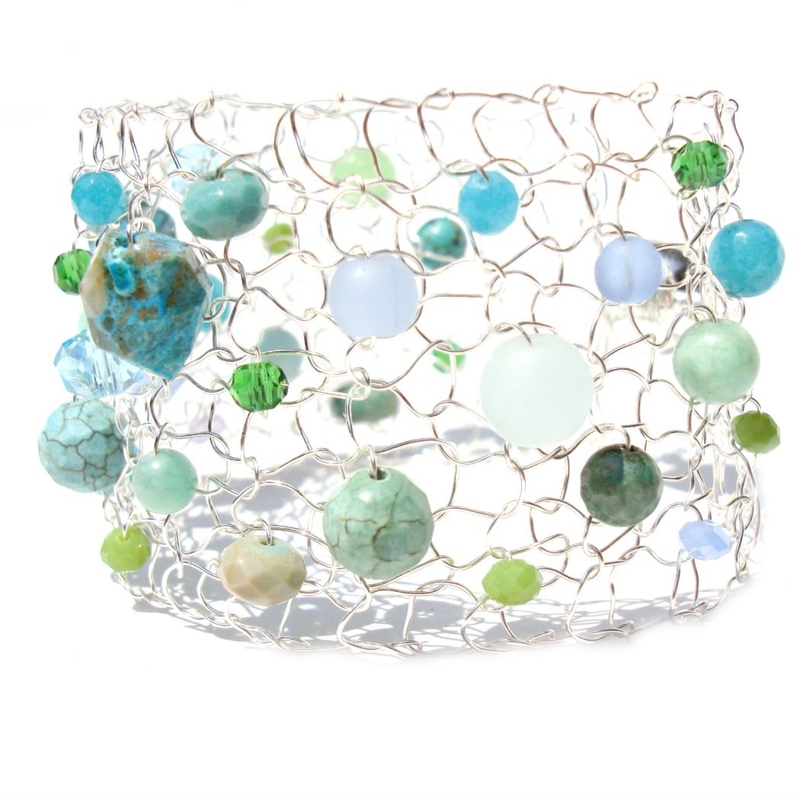 The mix is stunning and so unique on the silver wire hand knit cuff. The bracelet measures 1 1/2" in width on the wrist and will be knit to the specified size. This mix is limited so get it while you can!